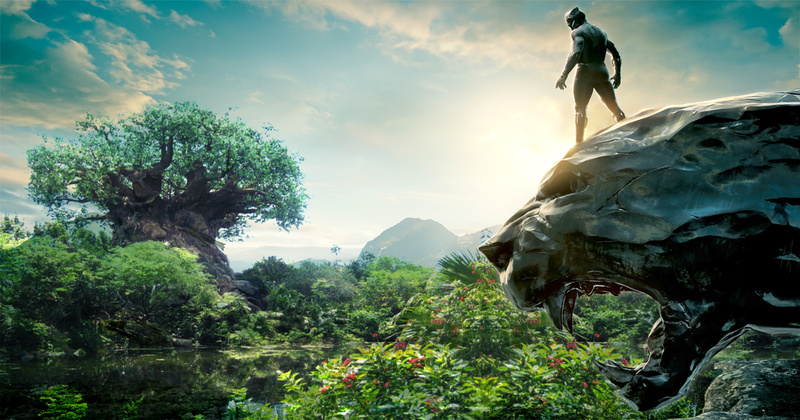 Last week I was part of a select group of bloggers invited to an exclusive sneak peek at Animal Kingdom’s newest land — The Kingdom of Wakanda. Having seen Black Panther at a critics-only screening long before it opened in theaters, I was anxious to see how real life Wakanda stacked up against other media previews I had attended around the world. Now that the review embargo has expired, I can finally share the experience with those less fortunate. Much like the fictional kingdom, the real life Wakanda pretends to be hidden from the rest of Animal Kingdom — but not too hidden, as my popular construction photo tours attest. Disney has done a nice job of concealing Wakanda from the outside world. I was first to break the news about FastPass+ touchpoints installed at the Wildlife Express station in Harambe a few weeks back. As any premium user of my exclusive content knows, the train has never needed FastPass. So what does this mean? I’m happy to report that my astute theories were correct. Train timetables in the station have been updated to include Wakanda as a destination. Scanning your magic band will earn you a Wakanda salute from the attending Cast Member, who will direct you to a holding area separate from the regular guests. Instead of a magic band, they gave me a special RFID-enabled glowing temporary lip tattoo for the event. I elected to keep this swag in its collectible sleeve since it is currently fetching $900 on eBay. Once onboard the Wildlife Express, I was the first to notice sly references to W’Kabi’s armored war rhinos added to the pre-existing rhino barns. This is also where the new spur track allows the Wakanda train to detour to a new station inside the land. Most of the preview guests referred to the new land as “Wakanda” or sometimes “Black Panther Land” (ugh). But the official name is Birnin Zana — Black Panther’s Wakanda. You have to be a true fan like me to catch the reference to Wakanda’s fictional capital city. The land itself is really a courtyard of buildings, containing the usual shops and restaurants, as well as a facade for the main ride’s show building. The architecture and set decoration are similar to Harambe but without the weathered look. The various passages and alleys reminded me of Epcot’s Morrocco pavilion from the limited-seating After Hours dinner tour I attended last year. I chatted with some off-duty Imagineers about their creative process in blending traditional African motifs with ultra-modern tech. One of them recognized me from previous interviews. Counteracting the woven baskets, colorful fabrics, and sunbaked walls are futuristic doors that swoosh shut, ceiling fans that give off a neon-purple vibe, and spaceships parked on the cobblestone streets. It all made for a nice complimentary PhotoPass experience. I won’t go into specifics on each shop since I’m still annoyed at the line I had to wait in to gain access to the cool merchandise — which an area manager told me may sell out before the land even opens to the public. The Vibranium jewelry store had the best merch. It’s mostly pewter or silver, but several items had glowing purple LEDs in them, including reproductions of both T’Challa’s and Erik Killmonger’s panther-suit necklaces from the movie. Very expensive, but not too bad with my premium pass discount. They were limiting us to 5-per-guest at the previews, but it still went quickly. I may hold some items back as prizes for my fans. The food was the biggest disappointment in real life Wakanda. There’s a counter service restaurant called the Great Gorilla that serves skewered meat and a candy shop specializing in traditional African sweets, similar to Zuri’s Sweets Shop in Harambe. We had free plates of all of it, but Disney’s sample size was pretty stingy. You’d think they’d want to make a better impression on somebody with my influence. I was surprised that there was no food or drink themed around the heart-shaped herb that gives Black Panther his powers. I mentioned this to the assistant chef and he promised to raise my ideas up to management. So likely they will correct this in the future. At the northern end of the land is a cluster of buildings that house the entrance to the land’s only two attractions. To the right is the walk-through exhibit, Reign of the Black Panthers. To the left is the hybrid coaster called Wakanda Forever–Rise of T’Challa. First, the E-ticket. I do not want to spoil this ride for you. My 4K ride-thru on YouTube can do that. However, I will say that Disney has nailed it yet again. Guests walk through the black panther rock formation in the side of a cliff before entering the lab of T’Challa’s sister Shuri, head of Wakandan technology. There we view a short “holographic” preshow video starring Letitia Wright. I pointed out to other guests that this is the same effect from The Haunted Mansion known as “Pepper’s Ghost,” in case they had never heard the official term. Shuri explains that an outsider has come to Wakanda. T’Challa, the Black Panther, needs our help as he hunts down the intruder. We will board our own movie-accurate holographic cockpits in order to remote-pilot several Wakandan drones. She conjures up a cockpit out of the floor. A fully-formed three-dimensional ride vehicle materializes out of nowhere, though my trained eye quickly reverse-engineered the effect. I was initially let down, thinking that this ride was going to be basically the same idea as Avatar Flight of Passage. I have been back-doored onto that ride so many times that I am frankly a little bored with it. Fortunately, the ride has another surprise in store. The Black Panther interrupts the preshow and says that he has tracked the intruder into the Vibranium mines. We need to evacuate immediately. Shuri directs us to a platform, where our actual ride vehicle is waiting: A cool neon-glowing mag-lev train that will whisk us to safety. Ed. Note – I later learned that Disney was going to re-shoot part of the pre-show to incorporate a crossover element to the new Marvel Land in Paris. I may be one of the few guests to ever experience this version. I cringe when typing the words “hybrid coaster” in a ride review. All those media passes to the IAAPA Attractions Expo have turned me jaded to cliche ride systems. But in this case, it works. The train travels at varying speeds through a series of immersive environments. These are dwarfed by immense wraparound screens, similar to Shanghai’s Pirates of the Caribbean. I’m not going to detail every scene because it is essentially a highlight reel from the movie. But having seen an advance screening of Avengers Infinity War, I can promise that you will be surprised by the ways this ties into the MCU. 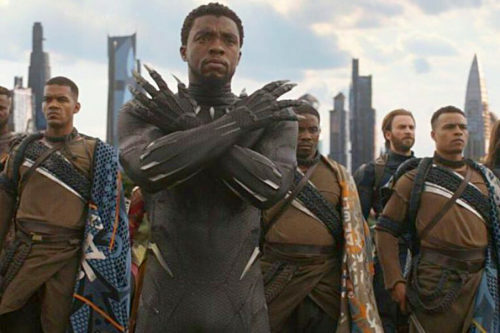 The basic plot has T’Challa as Black Panther battling Erik Killmonger in the Vibranium mines before bursting out into a high-speed race across Wakanda’s plains. The Dora Milaje (bald female warriors) join in pursuit. 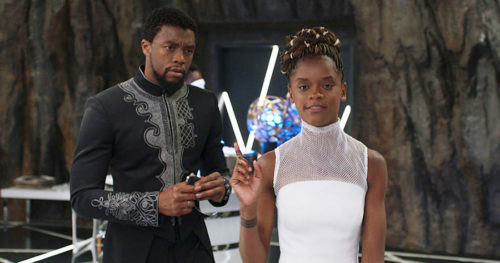 Another message from Shuri says that T’Challa and Kilmonger are dueling at a towering waterfall for the right to reign over Wakanda. She has outfitted our train with a flight system. We take to the skies to witness T’Challa’s ultimate victory. Overall, the ride is very impressive. I purchased the on-ride photo since I got an entire train to myself. I also kept the limited-edition 3-D glasses that were branded especially for this event. My one complaint is that it relies too much on projection screens. There are practical effects mixed in — the smell of the dust of the savanna fight, the spray from the waterfall — but too reminiscent of Flight of Passage. I rode it eight times in a row to study every angle. I spotted a few unthemed ceiling tiles that hopefully the Imagineers will fix before Opening Day. Animal Kingdom has always excelled at its walk-through animal exhibits. 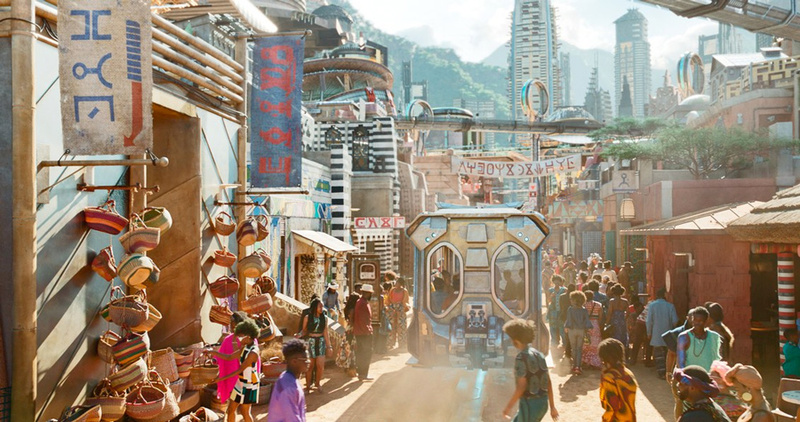 This attraction in real life Wakanda is no different. 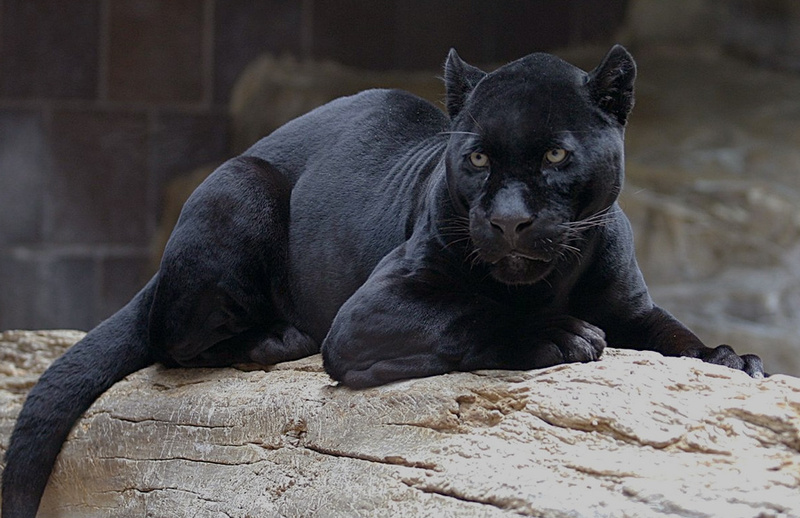 Informational signage conveys the importance of panthers in Wakanda’s history. The habitats are straightforward and true-to-life. I’m probably the only one that noticed a nice nod to Bagheera from one of Disney’s other movies. There are 6 panthers in the exhibit. They have free roam of the three areas of the habitat. As with Maharajah Jungle Trek, these exhibits are designed to get you up close. The panthers we saw seemed to prefer the “twilight” area, which uses an African backdrop and clever lighting to create a perpetual sunset. They had vet-techs on hand to answer questions. One of them let me pet a panther and snuggle with it during a 30-minute nap. Ever since personally interviewing Bob Chapek after his D23 announcement two years ago, I have wondered if Wakanda could live up to my well-documented high standards. Thankfully, Disney has hit a home run yet again. Judging by the movie’s popularity, expect long lines when the real life Wakanda opens to the public. I can assure you that I won’t be in them. I won’t need to be. This entry was posted in Theme Park Life and tagged Africa, Avatar Flight of Passage, Disney's Animal Kingdom, maharajah jungle trek, wildlife express. Bookmark the permalink. You didn’t elaborate on the “insufferable butthead.” Ted apparently wasn’t with you and you didn’t mention that you were with anyone else, so I assume you were alone. You also didn’t comment on some other person that was at this “sneak peak” that was being annoying. Therefore, I can only guess as to who the “insufferable butthead” was. Was it the other voice in your head? Too bad Disney already put in Avatar Land. This would have been a much better fit. Then I’ll make an accusation: it was Ted in the study with the computer. Good to get confirmation on Bagheera, but what about Panthro from Thundercats? ha! This is actually a legit question… Does Fox own Thundercats? So sorry you’re not one of the “insider” Disney influencers; I heard the A-list bloggers had the real Letitia Wright personally ride with them, then present them with a free Club 33 membership at the end of the ride. You’ve given me something to shoot for, Todd! Now I’m mad. You’d think that after all I’ve done for everyone that I would have been properly rewarded with Club 33. This is a travesty.